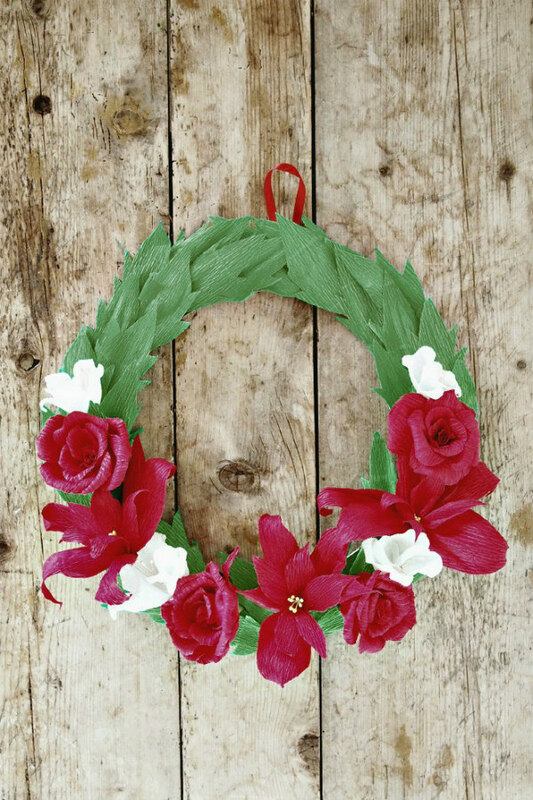 I'm thrilled to feature this pretty wreath to launch the Christmas season of making! 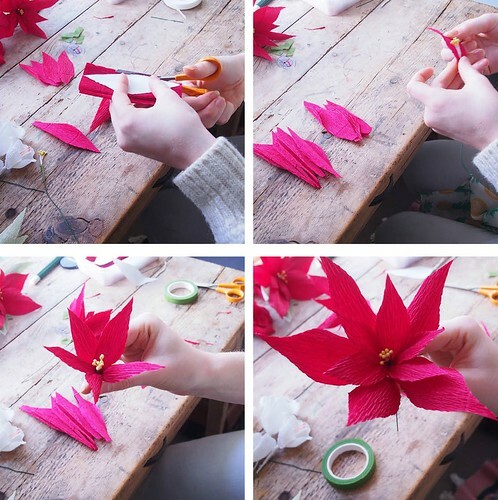 Of course many of us in the States are focused on Thanksgiving at the moment, but I hope you'll revisit this project created by British guest artist Sarah Dennis when you turn your attention to decorating for the holidays. 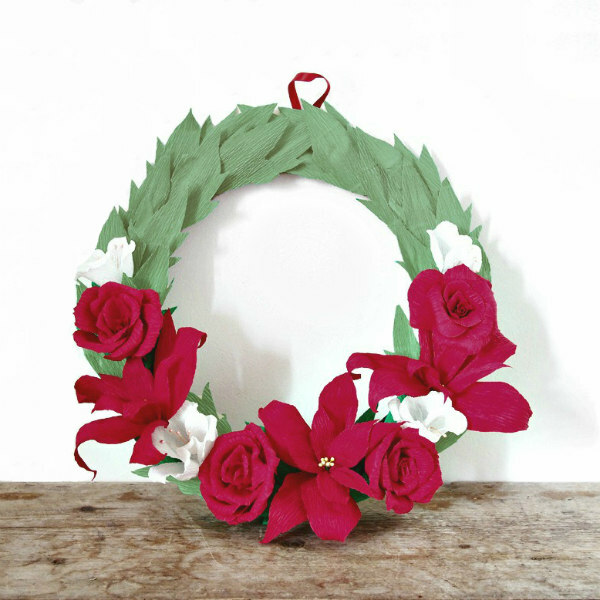 You'll discover how enjoyable it is to make crepe paper poinsettias, roses, snowdrops, and holly-inspired leaves. 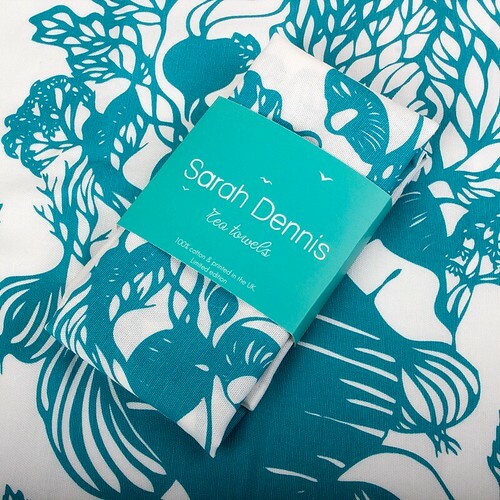 You might remember meeting Sarah via a previous post in which images of of her beautiful paper cuttings were shared. 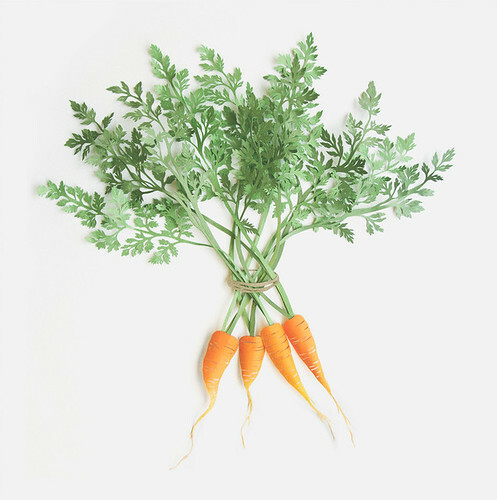 Recently she has been working on a series of finely cut paper vegetables that I think are out of this world - so realistic! 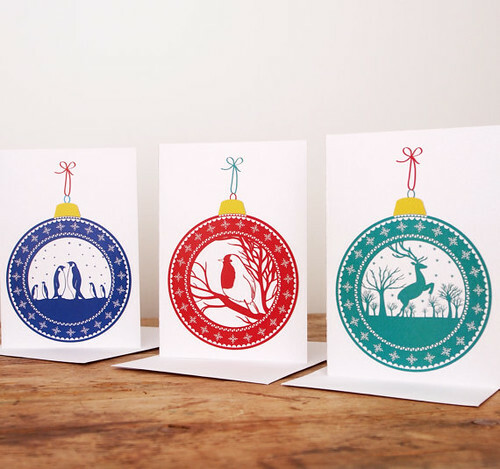 and this trio of Christmas bauble cards. And now let's get to the tutorial... take it away, Sarah! Thanks for sharing your wreath-making expertise, Sarah! I wish all of my U.S. compatriots a Happy Thanksgiving, safe travels, and an enjoyable long weekend. And thank you to all my readers for your visits. Stay tuned for more holiday lovelies in the days ahead and don't forget, the Smile Mercantile U.S. double prize giveaway of diorama ornaments and a big box of holiday craft supplies ends on Sunday night, November 30th. You might be very glad you took a moment to enter! 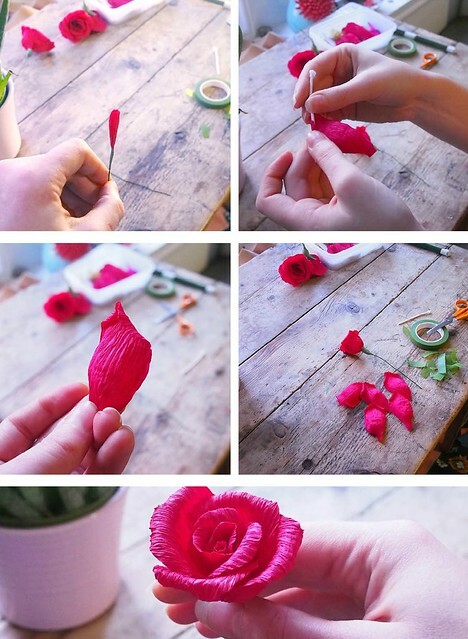 Beautiful tutorial. A must try!! 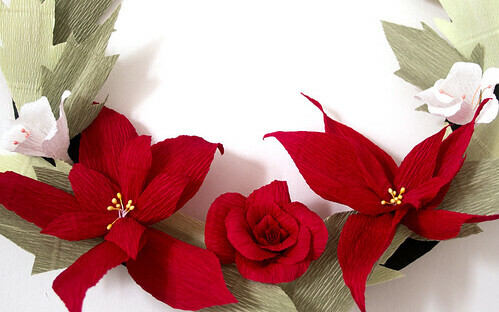 I love the crepe paper poinsettias in this wreath.